Julie Baker is an author, songwriter and recording artist. She’s sung with Sandi Patty, Kathy Troccoli and Larnelle Harris and traveled the world ministering in music and speaking to women’s groups. From 1997-2007, she was the President of TimeOut for Women!, a national evangelistic ministry that ministered to over 80,000 throughout its tenure. She’s trained hundreds of people for leadership responsibilities at General Motors, Ford and other Fortune 500 Companies, and is a popular women’s retreat speaker, worship leader, and performing artist. Singing and playing piano since the age of three, Julie Baker has devoted her talents towards one goal: sharing the love of God through her music, speaking, writing, and teaching. 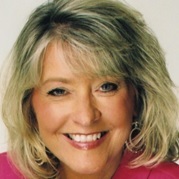 Julie Baker is also a television host and for two years produced a 30-minute weekly program called TimeOut for Women! on the TCT network (Total Christian Television) out of Detroit, Michigan, reaching 850 U.S. markets and 169 countries around the world. She is currently hosting a local Christian television program from Orlando, Florida that is called “TimeOut.” The focus is on people with miraculous stories.